The push of a button achieves precise light source control. “Instant on” standardized light source selection on the luminaire’s control panel provides easy-to-use Automatic Light Source Sequencing. Buttons illuminate indicating exactly which light source is in use. The GTI ColorGuard II indicates hours until relamp for all sources and how many hours used. 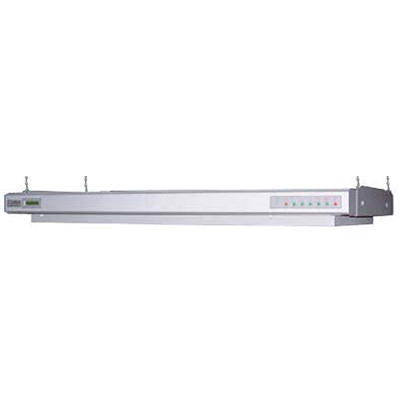 The unique design of the GLE-M series allows you to operate up to 8 overhead luminaires with a single remote control, ideal for any sample size. The GLE-M4/32 (or GLE-M5/32) is used for single luminaire installation and includes the GTI ColorGuard II lamp timing center and the advanced “soft-touch” digital lamp control. 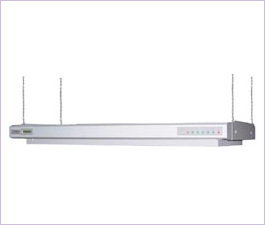 Multiple unit installations and remote control are easily accommodated.